GTA 5 XML Code Points To Exclusive PC Feature; PC Was Lead Platform? As if there was any doubt left, new dumped data in the form of an XML from the console version of Grand Theft Auto V has revealed that there are some extra features in store for PC gamers, as some of the content left on the cutting room floor for current-gen consoles will be making an appearance in the PC version. This follows closely on the heels of the info that was found in the GTA V iFruit companion app. Again, full disclosure: We've just come off a weekend facing a very serious legal threat from the legal company representing Rockstar, so I've been told by the publisher of Cinema Blend LLC and the managing editors not to post photos of any of the code from GTA V; I'm not allowed to link directly to any images, take snap shots of the code, reprint the code, display code or host any of the proprietary GTA V assets on Cinema Blend or Cinema Blend's servers that may incite a legal threat. All right, let's move on. Now that my job has been made doubly tough, the only evidence I can present to you is in the form of a tweet sent by our good friend and resident code junkie, Leon Lien. He's really been putting in the work to make this known and get the information out to the public. So to give him his fair share (and since I can't link to any of the photos he's sent me or post them up) you can follow his tweets that lead to the images through his Twitter account right here and just search for the @WilliamUsherGB tweets to find the images (we're not infringing on your copyrighted data Rockstar, see? We're playing by the rules). All right, so now it's time to explain this stuff for people who aren't familiar with any sort of scripting language. One of the images Lien links to comes from the common folder from the data dump of the Xbox 360 rendition of GTA V. To put it simply, the code was dumped from a program on PC while the game was running on the Xbox 360. The data present in one image of the weather xml file is most interesting, because it points to something not quite present in the current-gen console version of GTA V... a weather condition that was missing from the listed weather features of the game: a blizzard. Again, being very vague here, but just look at line 667 for those of you who clicked on the image. Now, let's compare this to the data dump of the weather files present in the current generation rendition of GTA V. Again, I'm not able to link directly to it, but in a thread for the GTA V cheats that people have found on reddit – here is a general link to the comment section of that thread – there is a user who lists the various weather conditions that was found in the data dump from the Xbox 360 version of GTA V (his name is BaneReturns, and you can check a full list of the weather attributes under his most upvoted comment in that thread) and the interesting thing about it is that there are nine weather patterns in the advanced cheat section. While it would be easier to just list it, because... really... instead I can only say that there are a few extra weather settings in the PC version... such as a blizzard. Now many of you might think that this means snow. No. Snow is already in the list of the PC settings but “blizzard” does not appear in the console version of the weather settings... or rather, it's not a setting you can activate on console. Let's go over this real quick: Whenever assets of a higher grade are included in the code but not used usually means that it didn't fit where it was intended. Now in this case, if a blizzard is already included in the game's asset call functions but it's not present or coded into the console version for activation, it would mean that the assets that aren't being used by the Xbox 360 or PS3 were designed and intended for a higher-end platform. In other words, it seems to point to the PC version being the lead platform, considering that all major assets for a game are finished early in the development cycle and the PC version's assets are ostensibly complete. Now, let's get one thing clear: it's just speculation about the PC being lead platform, but the current evidence – especially the promotional material – certainly lends itself on behalf of being supportive of such conjecture. This is also considering many of the poor performance issues that the Xbox 360 and PS3 are suffering from while running the game, has led many to believe that GTA V was actually ported to the older consoles. If you think that's all, think again. Lien also links to memory allocation tables further pointing to different pools and values for the Xbox 360, PS3 and... PC. The file folder structure resembles the typical GTA folder setup – anyone who mods on PC will recognize the “common” folder where the shared values or settings between multiple platforms are stationed. In addition to the above, there's a snapshot of the cd images directory; modders might recognize this folder as the one that contains the model and physical data properties for peds, actors, weapons and vehicles. A completed file structure for this directory means that all the PC's image assets are in place and structured. The crackers obviously knew where to look once the data was done dumping. 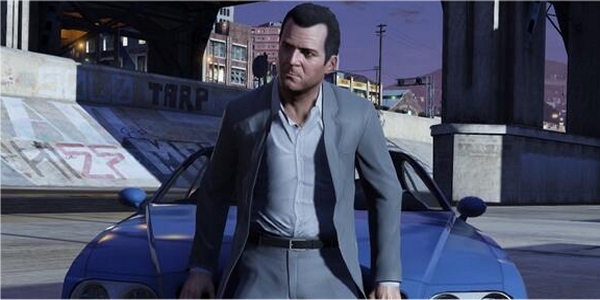 The images also hint at some GTA Online features, such as being able to befriend a player within the local vicinity. Once again, the code applies to the PS3, Xbox 360 and PC. With this additional data dump I'm thoroughly convinced that the game will release next on PC, maybe even before the holiday season and that we'll get another “complete” edition of GTA V for the Xbox One and PS4 further down the road.